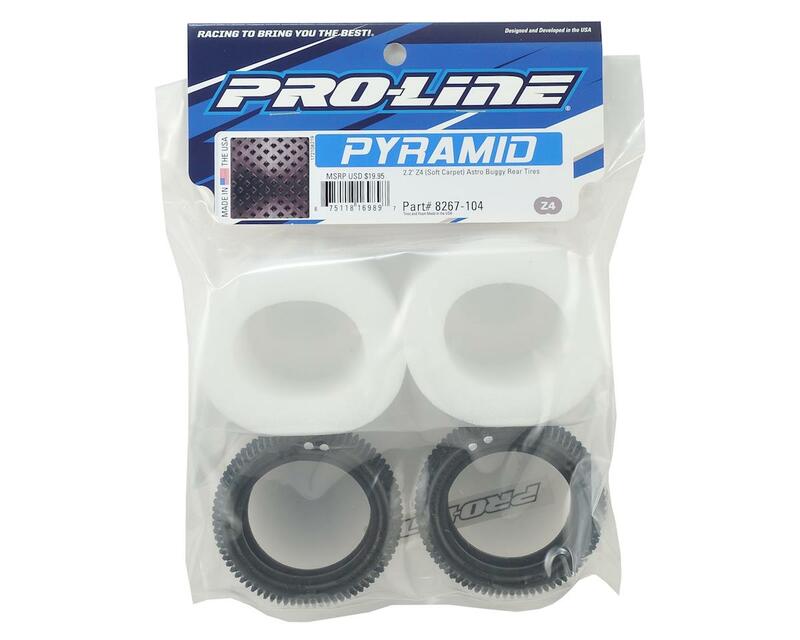 This is a pair of Pro-Line Pyramid Carpet 2.2" Buggy Rear Tires. Astro turf racing has been steadily growing in the U.S. and around the World and Pro-Line has you covered with the Pyramid buggy rear tire! The Pyramid features hundreds of large pyramid shaped pins with the knife edge pointed front to back and side to side for maximum grip that stay sharp even as they wear down. The carcass shape has been optimized for the demands of Astro racing, which is slightly smaller and narrow than standard dirt tires for improved agility. The Pyramid comes in Soft (Z4) and Medium (Z3) compounds for both cold and hot weather conditions. If you are going Astro turf racing, you need some Pyramids! 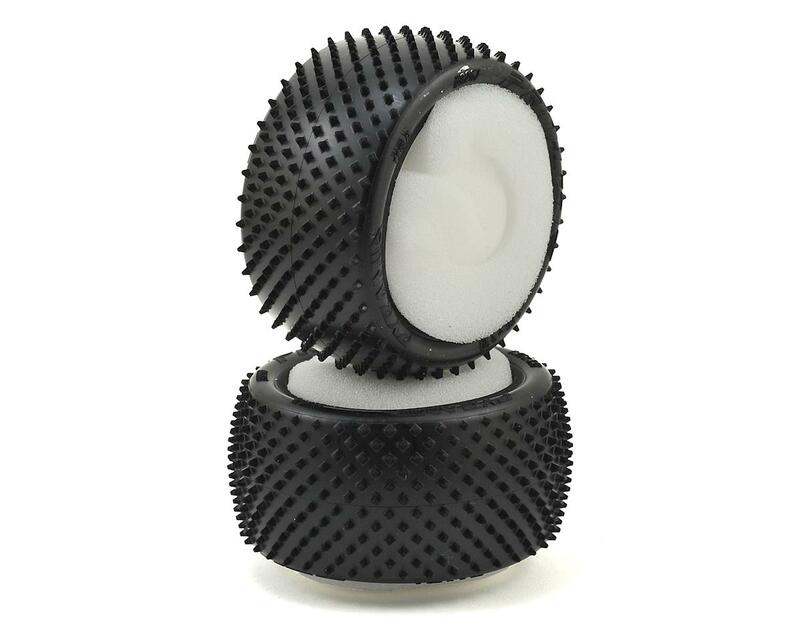 Great tire at first, but once that small tip wears off they do not grip. Shape of the point gets wider as they wear. I can not recommend for the budget racer. Z3 Pyramids are the consensus go-to rear buggy tire this year at my local outdoor turf track: Fine forward bite, not too locked down in the corners, and long wear. On carpet they still perform well but with more wear (still less wear than Schumacher yellow Cactus).